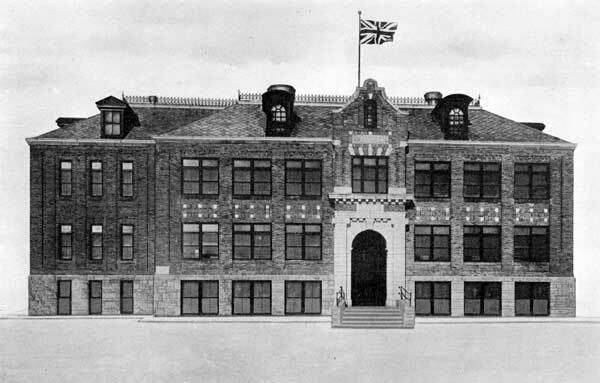 Designed by Winnipeg school architect J. B. Mitchell, this three-storey, seven-classroom brick structure was built in 1915 by the contracting firm of Worswick Brothers. It opened in February 1916. Construction on George V School No. 2 began in the spring of 1951 and opened to students in January 1952. The single-storey cottage-style school cost $132,232 and featured seven classrooms and a gymnasium. 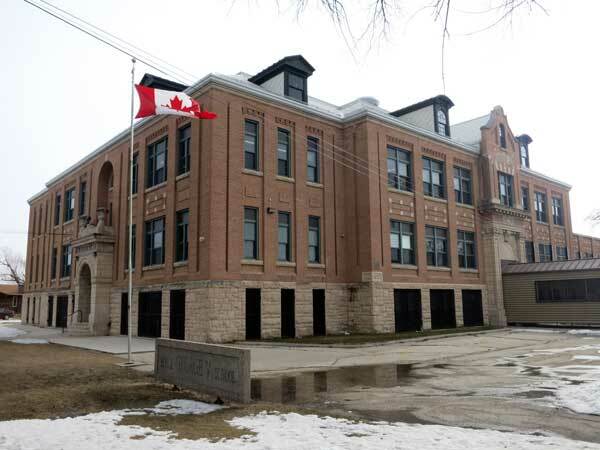 The older building was turned over to junior high grades previously transferred to Lord Selkirk School in September 1951. The school was officially opened on 5 March 1952. 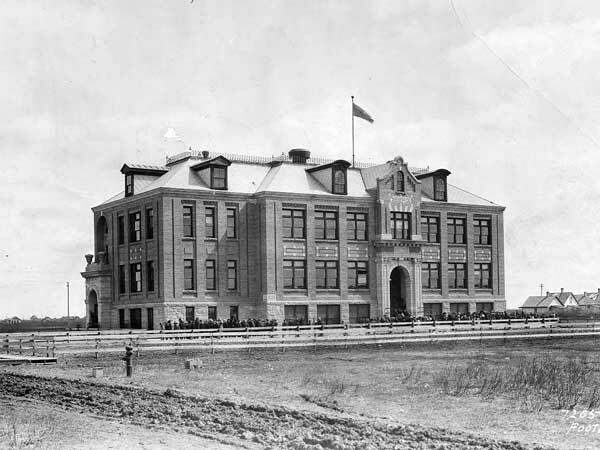 Source: Winnipeg School Board, Annual Report 1915, Legislative Library of Manitoba. “Winnipeg schools, No. 33—George V,” Manitoba Free Press, 23 November 1922, page 4. “First new school of ‘52 to be opened next week,” Winnipeg Free Press, 5 January 1952, page 3. “Education week set,” Winnipeg Free Press, 29 February 1952, page 10. “Many principals named for Winnipeg schools,” Winnipeg Free Press, 9 June 1970, page 2. “George V parents battle transfer,” Winnipeg Free Press, 6 September 1978, page 156. Obituary [Edith Margaret Miller], Winnipeg Free Press, 15 April 2000. We thank the Winnipeg School Division for providing additional information used here.